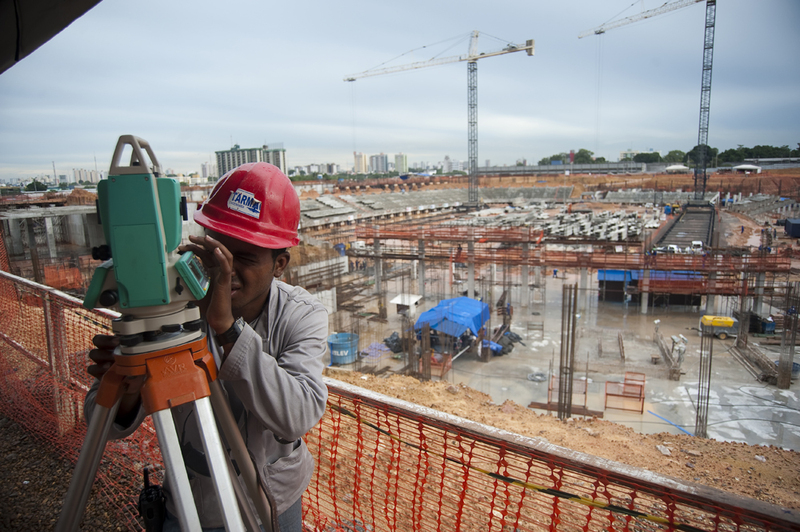 Tassyo Viana Pereira surveys the land at a new 40,000 seat stadium being built in preparation for the 2014 World Cup in Manaus. It will use renewable energy, effficient lighting and will harvest rainwater. Photographed on Friday, March 16, 2012.